MPAA Rating: PG for sequences of sci-fi action violence and peril, thematic elements, and language. Running time: 130 minutes. Released by Walt Disney Studios Motion Pictures. 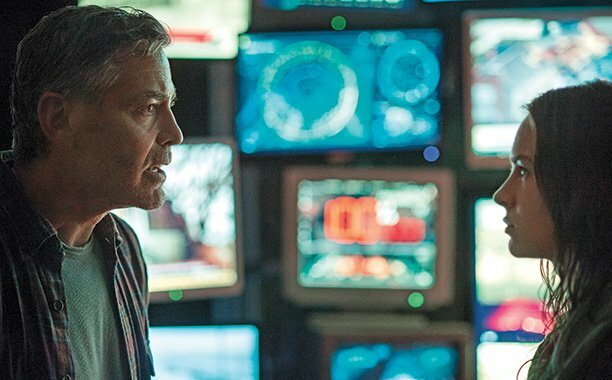 Tomorrowland is one of those movies you so desperately want to like. It’s got high-flying action, plucky characters, a good amount of whimsy, and strong values running throughout. The trouble is, at least for me, there’s way too much of the latter thrown in, and what should be a lighthearted adventure turns into more of a preachy morality play. If that’s what the filmmakers were going for, consider it a success, as I walked away from it musing upon the nature of imagination versus forced inspiration. 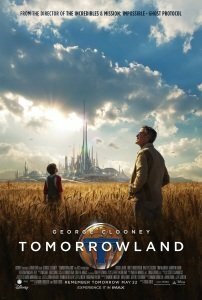 Ruminating further upon Tomorrowland, certain things don’t add up, and that’s a lot of why I’m hesitant to give it a hearty recommendation. On the surface, it’s an energetic, kinetic, well-lived-in film that looks spectacular. Director Brad Bird has a gift for making his films look visually stylish and grand, and he certainly doesn’t miss a trick here, as his story alternates between our drab-yet-aesthetically-eye-catching present-day world and the wondrous marvel that is Tomorrowland, the city of the future with its glass-and-metal spires, antigravity trains, and jetpacks. Reportedly, co-writers Bird and Damon Lindelof borrowed heavily from Walt Disney’s visions of a utopian future, which included his Experimental Prototype Community of Tomorrow (EPCOT – yeah, I didn’t know that, don’t judge!) Center, fashioning a sleek world that seems like something right out of the kind of future Gene Roddenberry predicted with his “Star Trek” series. It’s a world where gender and race have no meaning, with everyone working towards the betterment of society. 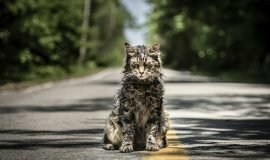 The film’s rollercoaster ride-like pacing gives us little time for lulls in the story, which follows high school student Casey Newton (Britt Robertson), inundated with gloom and doom stories from her teachers and her dad Eddie (Tim McGraw) about how our world is headed for entropy on a global-killing scale. Ignored largely when she asks how we can fix it, she engages in nightly “missions” to disrupt the dismantling of NASA’s launch pad at Cape Canaveral, believing that her small-scale work will have a larger effect. 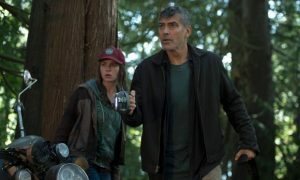 These efforts, along with her want to solve the Earth’s problems, attract mysterious recruiter Athena (Raffey Cassidy), who recognizes Casey’s potential to change the future and slips her a way into Tomorrowland, which hooks Casey instantly. Along with former recruit Frank Walker (George Clooney), Casey and Athena have to find the person or thing in Tomorrowland affecting Earth negatively and stop the doomsday clock. Tomorrowland carries with it themes of hope and imagination, and that’s a great thing… or it would be, if the film didn’t come off as super-preachy. Its environmental and social politics are worn right on its sleeve, causing the film to nearly drown in its own self-importance. Tomorrowland itself can be seen as the world we should be creating for ourselves, not just an alternate fictional universe accessible only by an interdimensional portal. If that’s the larger metaphor, it’s a call for a very exclusive society, one that seems to have harvested only the best of the best. What about the other folks that don’t make the cut? What are they going to be left holding? Is Tomorrowland the ultimate gene pool, having weeded out the undesirables? It’s a very dangerous proposition that this movie puts forth, regardless of how valiantly the film wishes to inspire more females to enter the scientific field. Another annoyance is that at almost every turn, we’re reminded that Casey was picked for a reason, no matter how nebulous that reason may be. Tomorrowland is said to have recruited the finest of every field – artists, engineers, writers, thinkers, creators – and here we have Athena recruiting Casey just because she’s sabotaging the destruction of a launch pad? She’s apparently a wit-for-wit match for Frank, who’s seen to be extremely smart, but the movie plays her as simply being along for the ride. It seems that the only reason she’s there in the first place is to kick Frank out of seclusion and inaction, because the rest of the film can do without her. The film’s villain isn’t much of one, as very little was given to Hugh Laurie to flesh out Governor David Nix. He’s not even necessarily a villain; he’s done nothing to warrant being labeled as such, yet he’s put in that kind of position because the film has to have a bad guy. 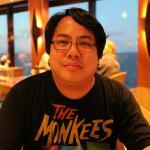 Why make it the guy who’s trying to make life run its course, no matter how disastrous that course may be? There isn’t any reason other than a misguided sense of indifference that makes Nix a bad guy, and we don’t even know if he’s a robot like Athena or a flesh-and-blood human turning his back on his own people. Also, welcome to the new era of Disney, where filmmakers can heavily use Star Wars music and memorabilia! A scene in the early third of the film has Casey answering an ad at a science fiction-themed store, only to be met by the requisite blast of John Williams’ iconic Star Wars opening title theme, along with numerous puppets, masks, and props visible throughout the store. Maybe Brad Bird’s intent with this scene was to get the public ready for the new Star Wars installment coming to theaters in December! I guess it worked, considering that I just dedicated an entire paragraph to this intrusion that took me completely out of the film. That’s not to say that Tomorrowland is a complete waste of time. Far from it – the film definitely proves its worth with its action sequences and its performances. Everyone’s going to fall in love with Raffey Cassidy as Athena, the timeless child robot; she’s endearing as she operates as the film’s deus ex machina, enabling everyone to play their part in the film’s grand scheme. Also, it’s nice to see George Clooney playing a bit of a cantankerous curmudgeon, mixing the fast-talking grump from O Brother, Where Art Thou? and the smooth operator from Steven Soderbergh’s Ocean’s trilogy, winding up with a character that’s immensely fun to watch. As this film is full of the outlandish, it’s no surprise that there’s going to be an overload of CGI work that comes along with it; screened in an IMAX theater, the images of Tomorrowland pop and entice, giving you a visual feast truly wonderful to behold. After all is said and done, Tomorrowland winds up being one of those movies you’re going to have a great time watching, but the questions and ideas you may have afterward may detract from your experience. Taken merely as the aforementioned rollercoaster ride, Tomorrowland delivers all of the wonder and splendor you’d expect from a Disney film. 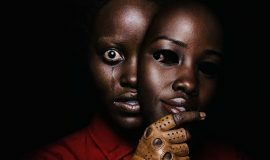 Looking at it as the thinly-veiled social commentary and call to arms that it truly is, it’s film with a problematic core and little to actually say, no matter how loudly it shouts at us.